We are the safety items suppliers in Bangalore. The wide range of Emergency Safety Showers provided by us is made as per various industrial standards. Customized Emergency Safety showers are also offered depending on the requirement of the client. These safety showers can be hand operated or foot operated depending on the type of application. Since the inception of our company, we are engaged in providing a quality range of Metal Detector. The given product is widely used in airports, malls, etc. for security check. They detect ferrous and non-ferrous metals. The product comes with a recharge battery and is appreciated for its effective functioning. 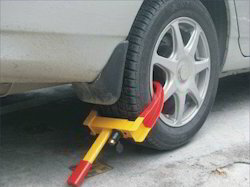 The Wheel Clamp has a corrosion resistant hardened steel construction and suitable for locking tiers up to 275 mm width of cars vans jeeps etc. The minimum width of the clamp when closed is 35 mm and maximum width of the clamp when opened is 275 mm. The handle is PVC coated for a comfortable grip. The clamp handle length is 220mm and the maximum height is 60 mm. The forks of the clamp are PVC coated to save the vehicle wheel rims from any scratches while locking and unlocking of the clamp. The wheel clamp has an internal locking system and has a total weight of approx. 2.0 Kgs. This Wheel Clamps conforms to government standards and industry regulations. 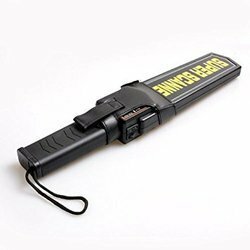 With years of industry expertise, we are instrumental in offering a medically-assured range of Hand Held Metal Detector which is widely used for detecting metals. Apart from this, the offered detectors are available in various models at market leading prices in order to serve the requirements and demands of our valuable customers. These are highly appreciated and demanded for their low maintenance. 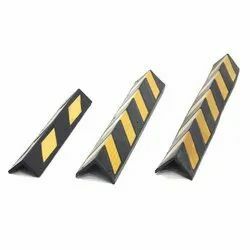 Help prevent costly damage to vehicles and buildings with our rubber corner protectors. It is the ideal solution for car parks, warehouses and other applications where vehicle dents and scrapes occur. Easy to install with pre-drilled fixing holes. As an acclaimed entity, we are highly engaged in offering a comprehensive array of Safety Caution Tape. 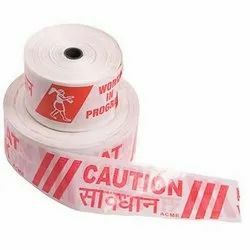 The provide tapes are widely used during heavy traffic conditions, at construction sites, and engineering industries to mark hazardous or no entry zone. These are available in red and white color. 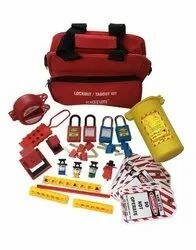 With the aid of our skilled professionals, our firm is involved in offering an array of Lockout Kit. The given product consists of the commonly used electrical and valve lockout devices. It is widely demanded by workers and contractors. Besides, clients can avail it at nominal rates. With the aid of our skilled professionals, our firm is involved in offering a broad range of Wet Floor Stand. These stands are widely used in malls, hotels, airports, etc. 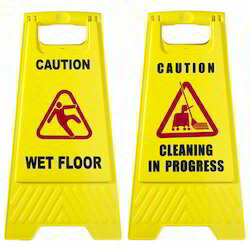 to prevent accidental falls on the wet floor. These are highly durable, easy to use, and robust in design.